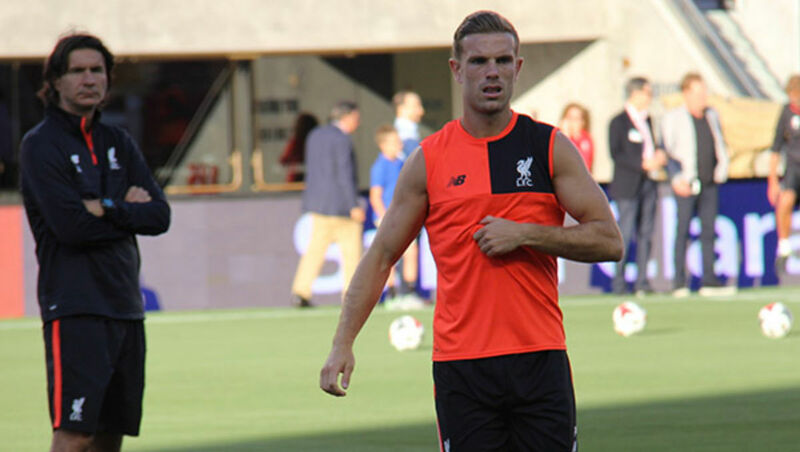 Jordan Henderson has admitted that previous disappointments are motivating the Liverpool FC captain in the title race. The Reds are sitting at the top of the Premier League table and a point ahead of defending champions Manchester City. Liverpool FC seized their chance to hoist themselves above Manchester City before the international break thanks to a 2-1 victory over Fulham. The Citizens have played one game less than Liverpool FC as Pep Guardiola looks to retain the Premier League title for the first time in the club’s history. Henderson has previously finished as a Premier League runner up after Liverpool FC were unable to beat Manchester City to the title in 2014. The 28-year-old has also experienced defeat in two League Cup finals, a FA Cup showpiece as well as Europa League and Champions League finals since his move to Liverpool FC from Sunderland in 2012. Henderson opened up about his desire to get his hands on the Premier League trophy ahead of their next fixture against Tottenham Hotspur on Sunday 31 March. “It gives you even more motivation to then keep going, keep wanting to be in that position again to make it right, and go that final step, really,” Henderson told Liverpool FC’s website. Liverpool FC have finished in fourth place in the Premier League table in the last two seasons under the former Borussia Dortmund head coach.